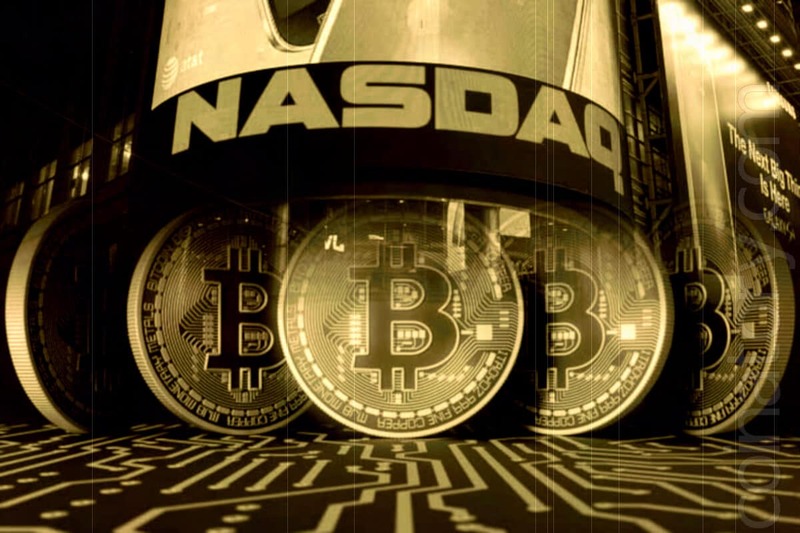 The Nasdaq Stock Exchange, which trades shares of high-tech enterprises, officially confirmed the information about the launch of its cryptocurrency platform. Earlier it was reported that the platform will be launched until the middle of next year, investors will be able to perform operations with Bitcoin futures. A top manager of the exchange, Joseph Christinat, who holds the post of vice president of communications, said that as soon as the Commodity Futures Trading Commission (CFTC) issues a permit to the exchange, it will immediately begin work on launching a cryptocurrency trading platform. We’ve seen plenty of speculation and rumours about what we might be doing, but no one has thought to come to us and ask if we can confirm it, so, here you go – we’re doing this, and it’s happening. The top manager added that the fall in the Bitcoin price in 2018 will not affect the upcoming launch of the platform. The Nasdaq Stock Exchange has shown an increased interest in blockchain technologies over the past few years. Moreover, interest in this area continues to grow even despite the negative dynamics of the cryptocurrency market. The new trading platform for Bitcoin futures will use the SMARTS monitoring system, which will prevent manipulation, and the price will be formed on the basis of the MVIS index, developed by experts of the VanEck investment company.